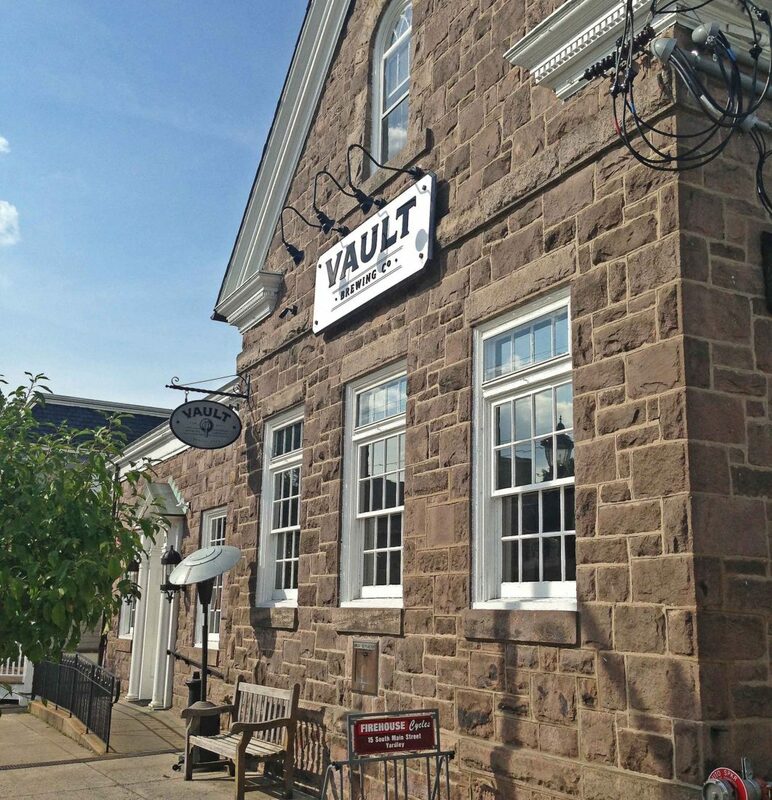 Yardley isn’t that far to go for an inventive and fresh craft beer – but not that many beer-geeks are making the trek to “The Vault Brewing Company” on Main Street. And that’s a shame, cause they are missing out on something really interesting. 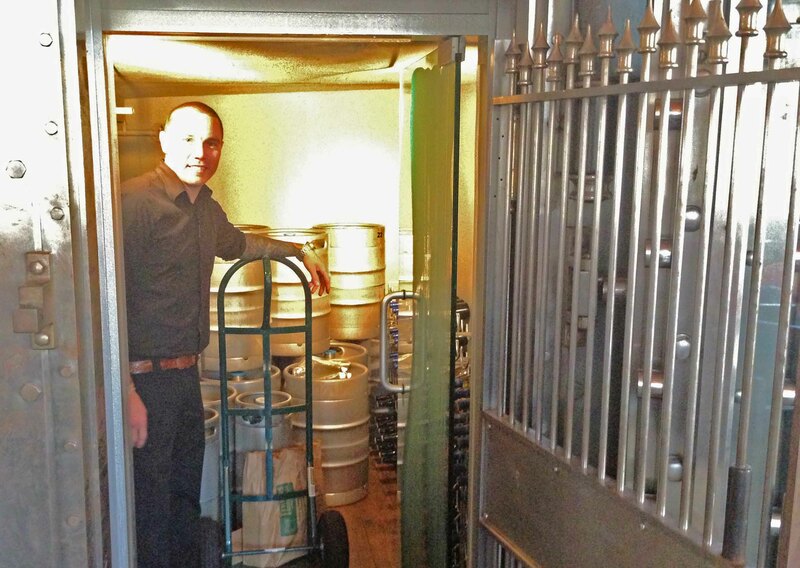 Built in a restored old bank branch (the safe is the fridge for keg storage), the Vault has been open since October 2012, and the wood and brass banking theme is part of the fun. The small 10bbl system allows for diversity of offerings – with the busy brew staff brewing three batches a week. On the summer afternoon I visited, there were no “big beers” to be had, but some very tasty winter wheat beers (including a “wheat IPA” and a “wheat stout”). 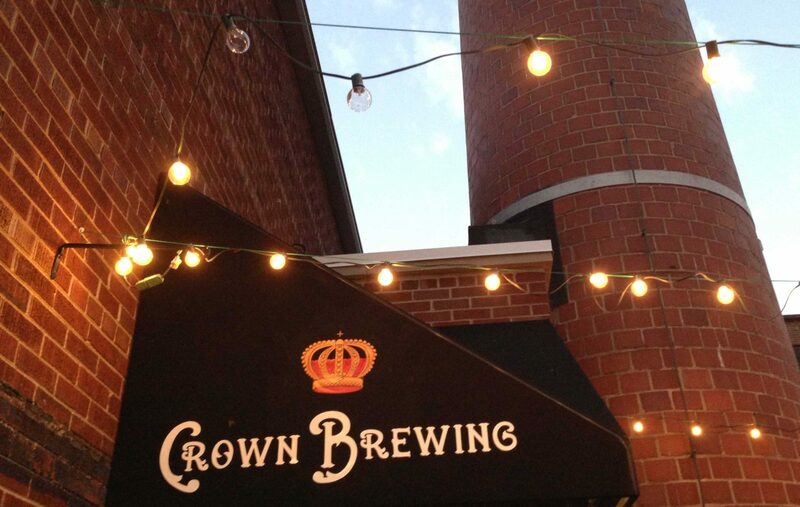 The home brewing roots of head brewer are clear in the inventiveness and passion of the beers he makes. Leveraging local ingredients are part of the plan, including a wet-hopped harvest ale using cascade hop flowers from nearby Harrisburg. Chris the barman introduced me to Jason (assistant brewer) who explained that the Vault is exceeding it’s own expectations but continuing to refine it’s beer. “We are really working hard now on nailing the styles – we will continue to add more diverse beers. We are keeping lower alcohol beers on – as the locals are just learning about craft beer – we have a Kolsch on next. I love turning people on to good beer”. I found the passion and excitement of the staff infectious – and the food was really good – with the Vault’s own dash of experimentation: Lamb Meatballs with Whiskey Cheddar? Yes please! Live jazz at night – sure. 4.5 ABV fresh brewed British Bitter on Nitro – excellent. So BeerAppreciators, don’t withdraw from the Vault just cause it doesn’t always feature the hoppiest double IPA – invest a little time, and the return will be there – it paid dividends for me!